It's clear that a lot of people feel comfortable shopping online however, that comfort is often accompanied by complacency. Cybercriminals are more sophisticated than ever, and that means they are using tricks to easily fool consumers into visiting fake stores or opening phishing emails that can put your money and personal information at risk. Regardless of what you are buying, you have to know that you can trust the seller. To help you, we’ve compiled some tips to help you beat the crooks and stay secure while shopping online. Consider using a prepaid card. You control the amount of money connected to the card, so there won't be an entire bank account for a criminal to tap into. More important, a prepaid card isn't connected to any personal information beyond what you need to provide for purchase and delivery. Avoid using a Debit card as it is up to you to fight to get your money back. With a credit card, the card issuer must fight to get its money back. LOOK for the LOCK Check site security and privacy - The first thing to make sure of is that the site is secure. Does your web browser show a closed padlock similar to this? A padlock means the website is secure. 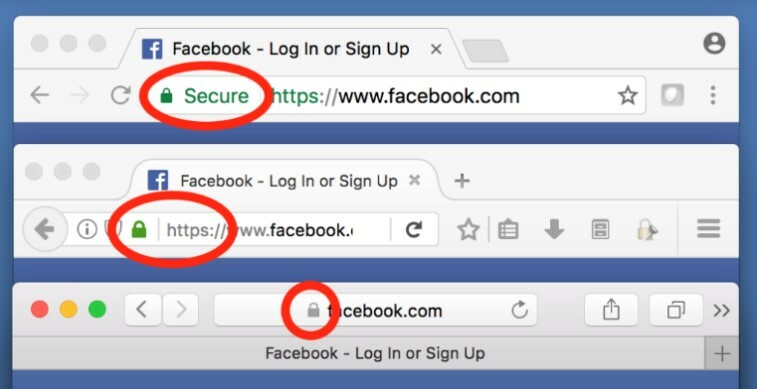 An icon of a locked padlock will appear next to the URL in the address bar if the website has secure sockets layer encryption installed. If it doesn’t start with https:// you would be advised strongly not to purchase anything online with it. 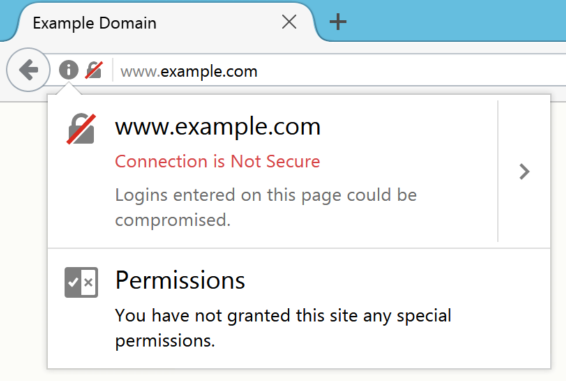 Our blog on securing your browser securing your browser has more helpful information for you. Use businesses that you are familiar with Check the website and the seller's reputation. Read other customer's feedback about the seller. Does the company have complete contact details, including a street address, phone number (call it to check it’s legitimate) email etc.? Companies with a street address and contact details are more likely to be legitimate. Don't let shopping sites save your information or credit cards even though it's time-consuming to have to re-enter your name and address and dig out your credit card every time you visit an online store. Don’t Tell ALL – Less is more! Online stores will request your name, address, phone number, email address and billing information. If they ask for anything else, such as your driver's license number, remove the info you' ve entered, close the tab and take your business elsewhere. When possible, only give the minimum amount of information, there shouldn’t be a need to enter your birthdate for a simple purchase either. Never click shopping links in an email. We all get email messages from online retailers, but be very careful. Even if that message showed up in your dedicated shopping email, it isn't necessarily legitimate. Rather than clicking on the link in the message, open a new tab and then go directly to the store's official website and search for the item on sale, or type in the codes for special offers. Look for scams, If it sounds too good to be true, it probably is! Fake websites or fake products can be used to steal your money, your card, your bank details, or your identity. Try to avoid this by looking for clues that tell you it might not be the real deal. Can you find more information about them somewhere else? Phony Facebook Promotions, Quizzes and Contests – Who doesn’t want to win some free prizes like iPads or get a great deal around the holidays? Unfortunately, cyber scammers know that these are attractive lures and they have sprinkled Facebook with phony promotions and contests aimed at gathering personal information. A recent scam advertised two free airline tickets, but required participants to fill out multiple surveys requesting personal information. Beware even of your friends, who might innocently forward such a thing. Visit the Choice website for some helpful shopping online information. At the very least, you should verify the link embedded in the email message. When you hover your mouse cursor over the link, the actual link will be displayed at the bottom of your browser's window. Read all information carefully so you know the full cost of what you are buying online. Once you have all the costs it's easier to compare similar things on other websites or the price of buying the item in a shop. Remember, it may be harder to get a refund or exchange on an overseas purchase. Keep a record of online purchases, including photos & descriptions of items you buy. Use a secure computer and a secure network - Public computers and public networks are NOT secure. Swindlers don't just sit around waiting for you to give them data; they may use things like Facebook quizzes & tests to trick you into giving your information out or installing threats on it. You need to protect against malware with regular updates to your browser, computer programs & apps as well as your anti-virus, Anti-Malware & all other programs. Be sure you have an active, solid, correctly configured protection for all of your devices. Mobile Malware targeted at mobile devices is on the rise, and Android smartphones are most at risk. These are mobile apps designed to steal information from smartphones, or send out expensive text messages without a user’s consent & are usually offered for free, hidden in fun applications, such as games. Apple Mac Malware – Until recently, Mac users felt pretty insulated from online security threats, since most were targeted at PCs however cybercriminals have designed a new wave of malware directed squarely at Mac users. Use store apps provided directly by the retailers, like eBay Australia, Target, etc. Don't buy anything or make financial transactions while connected to public Wi-Fi as these networks aren't encrypted, which means anyone can eavesdrop on what you send. Avoid Public Terminals - Hopefully we don't have to tell you it's a bad idea to use a public computer to make purchases, but we still will. If you do, please remember to log out every time you use a public terminal, even if you were just checking email. You may get sick of hearing about password security, but it's never more important than when doing banking and shopping online. Password protect your computer or your smartphone to prevent other people using your devices to shop online with your money. Our post on password security will help you. Online Coupon Scams –Watch out for fantastic coupon deals because the scammers know that by offering an irresistible online coupon, they can get people to hand over some of their personal information. Gift cards – Scammers like to auction off gift cards on sites like eBay with little or no funds Stick to the source when you buy one, eg buy it from Coles etc. SCEPTICISM IN MOST CASES CAN GO A LONG WAY TOWARD SAVING YOU FROM ONLINE FRAUD. BE EXTRA VIGILANT WHEN VIEWING AND RESPONDING TO EMAILS.